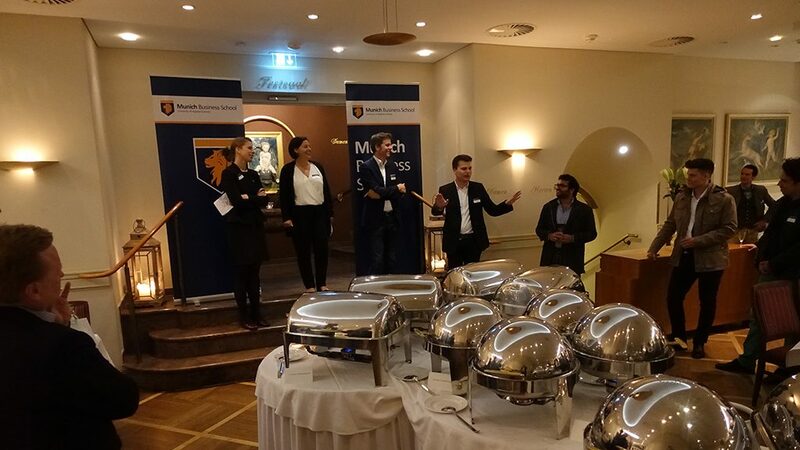 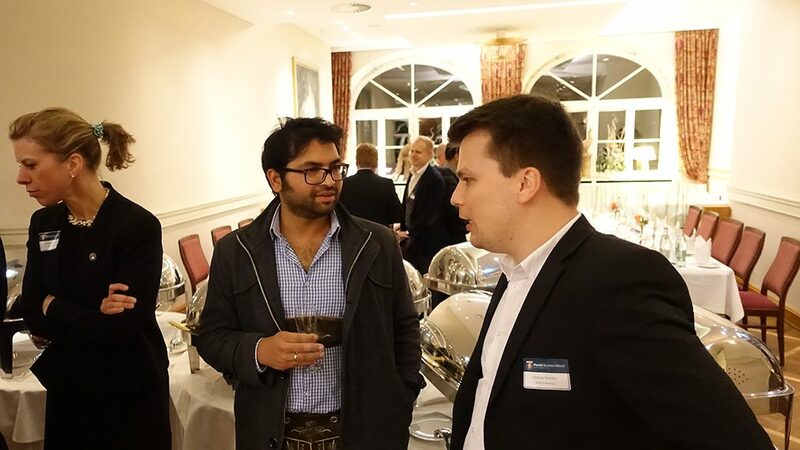 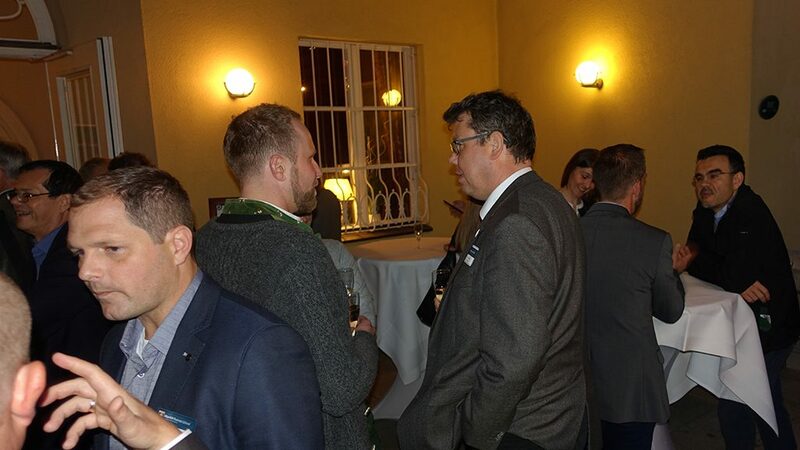 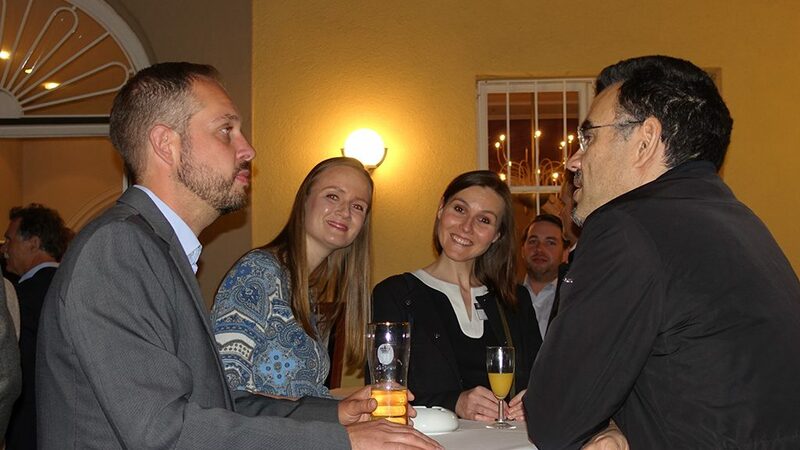 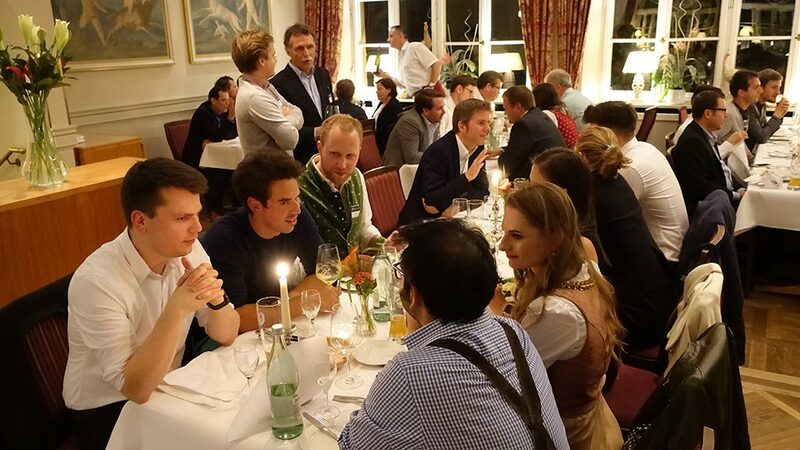 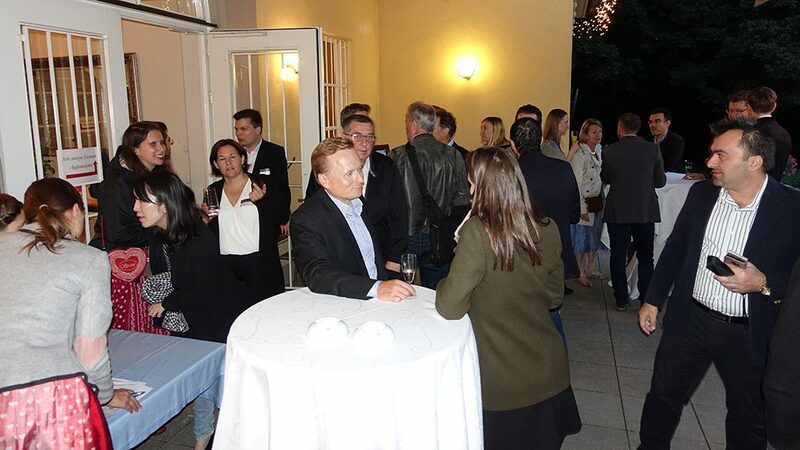 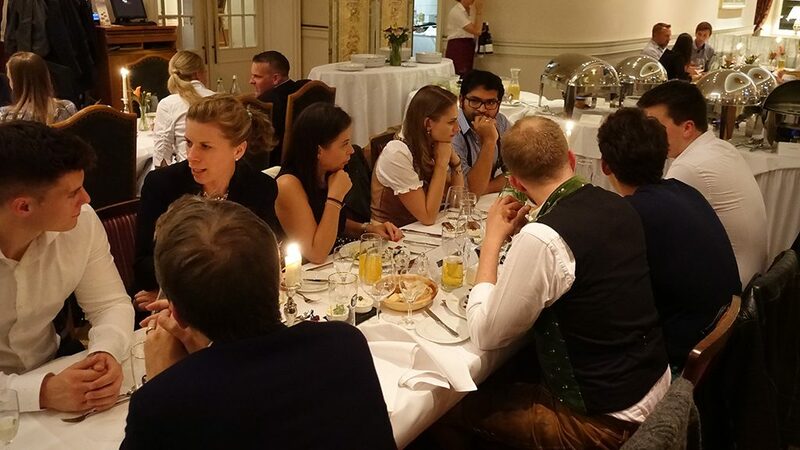 Just before the start of the renowned Munich Oktoberfest, there is another highlight in the event calendar in mid-September each year, at least for the graduates of Munich Business School: the MBS Alumni Reunion. 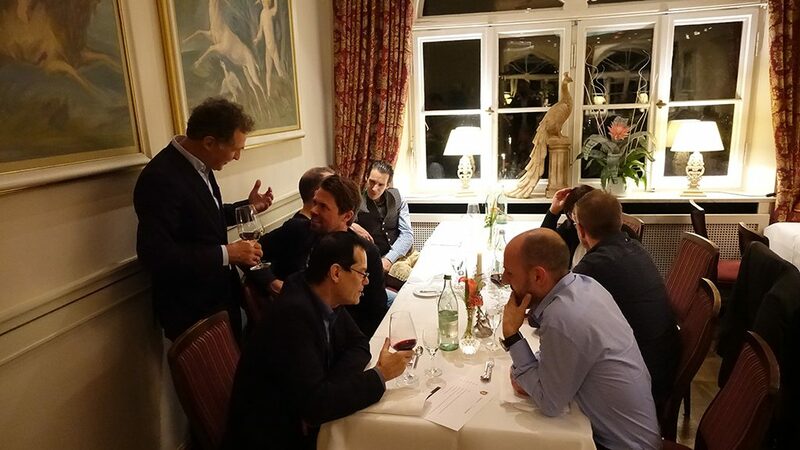 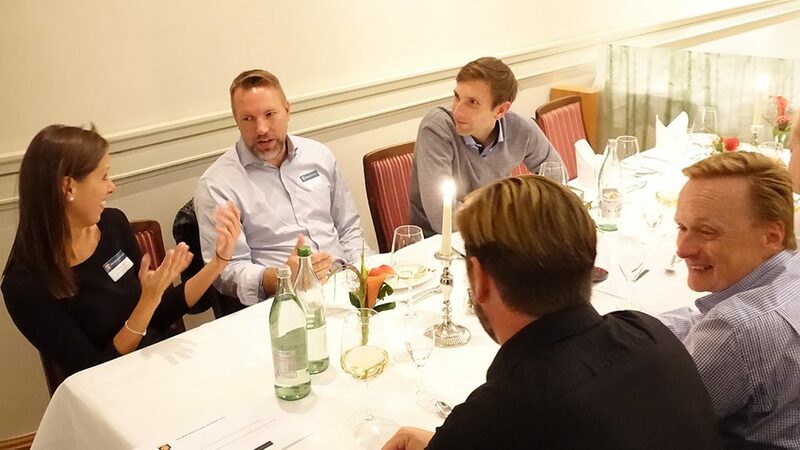 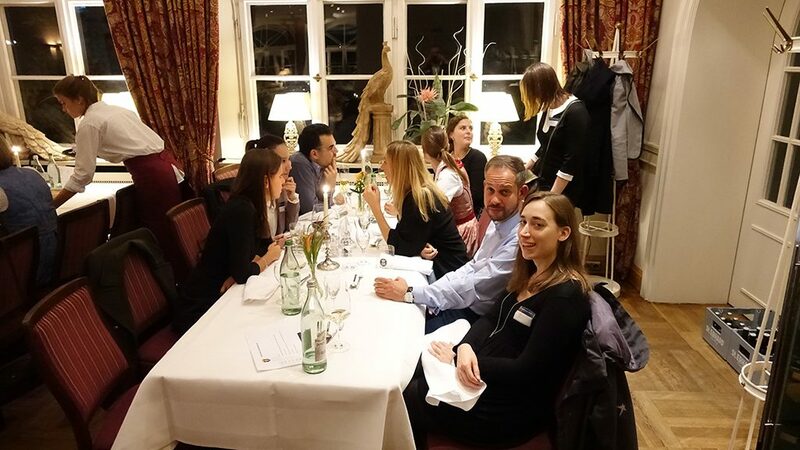 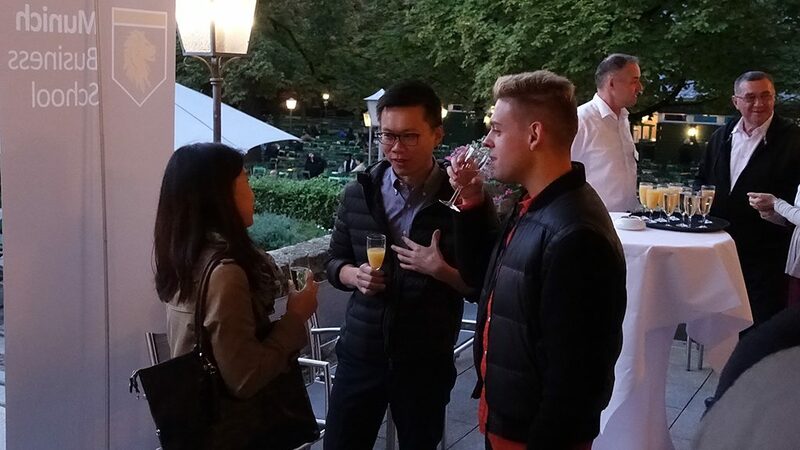 Once again, the Restaurant am Chinesischen Turm in Munich’s English Garden was the venue for this year’s much-anticipated edition of the event. 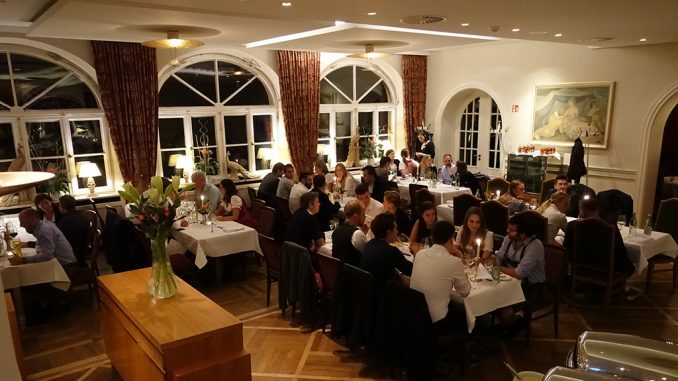 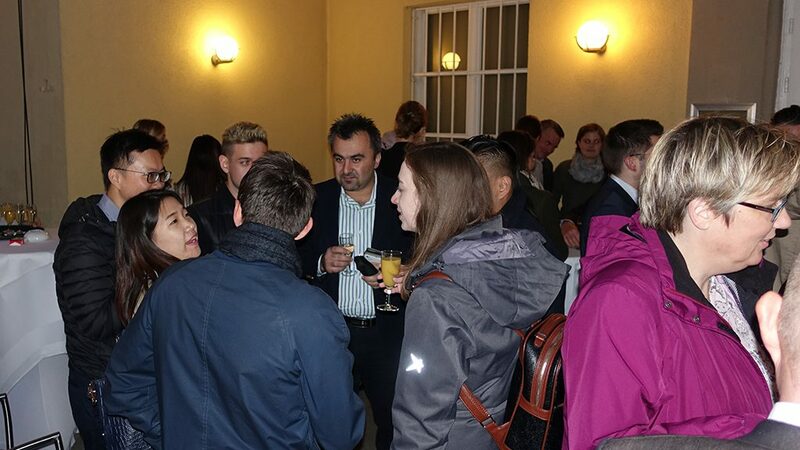 About 50 graduates of various years and study programs of MBS joined the gathering to meet with their former fellow students, MBS faculty and staff members, and to spend a cozy evening full of memories in a festive atmosphere. 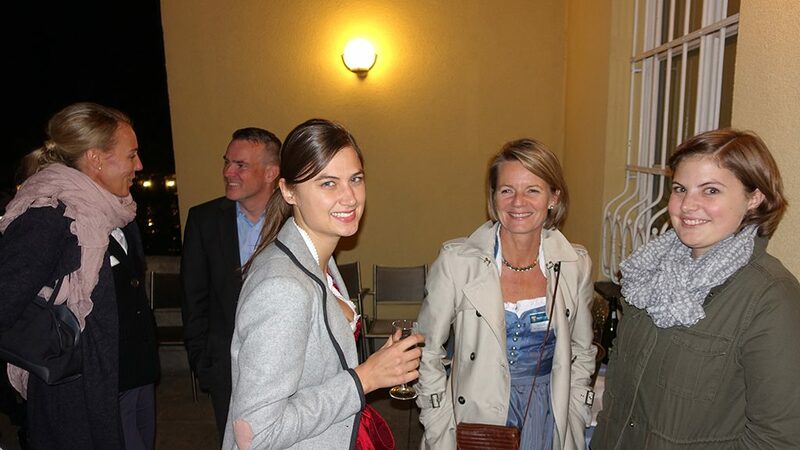 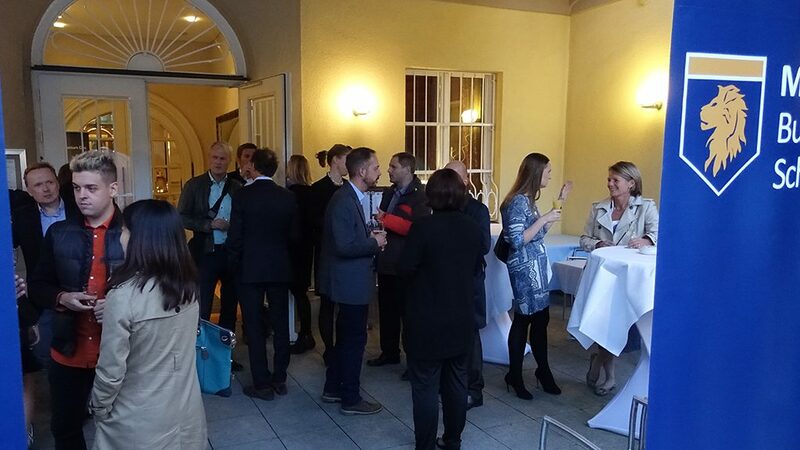 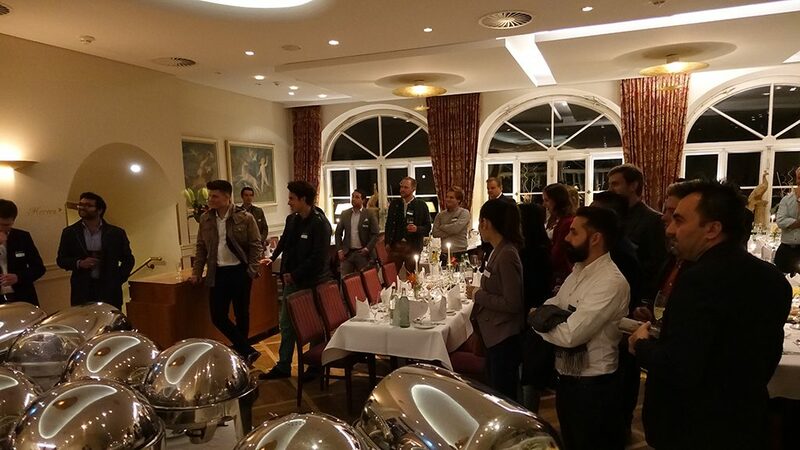 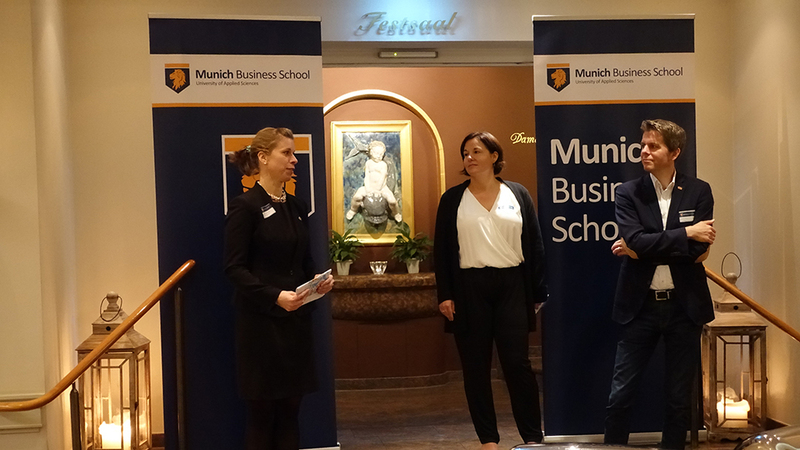 After a welcome glass of champagne, the alumni were welcomed by Martina Dengler, the new MBS Alumni Relations Manager and organizer of the event, and Nathalie von Seyfried, Chancellor of Munich Business School. 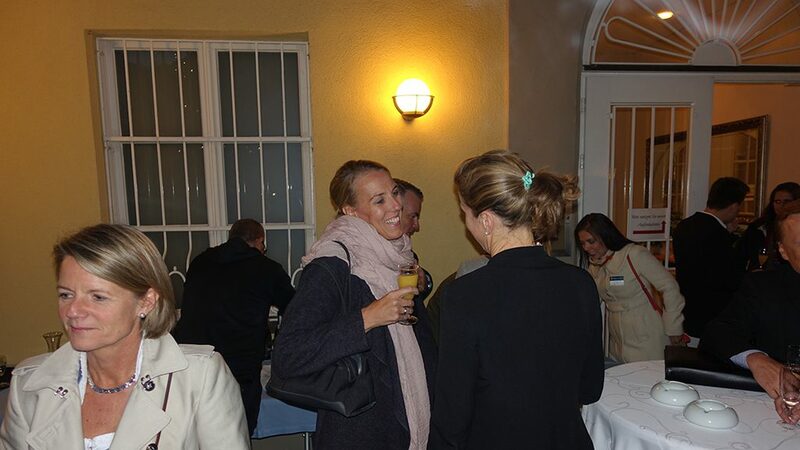 This opened the buffet, and the guests enjoyed delicious treats of the Bavarian cuisine. 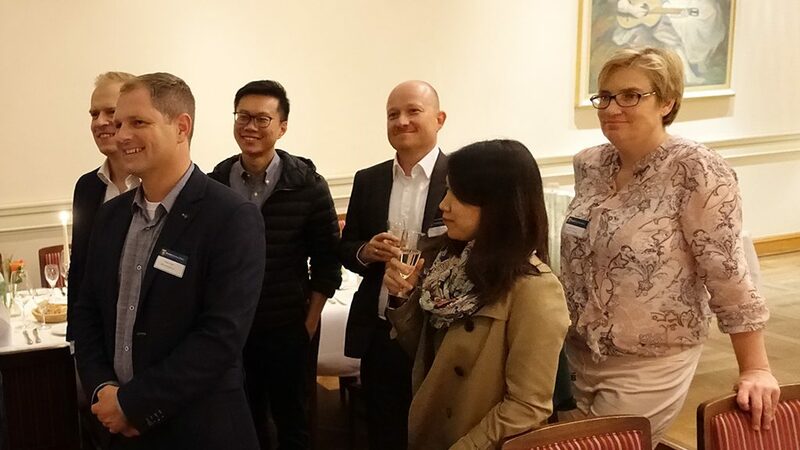 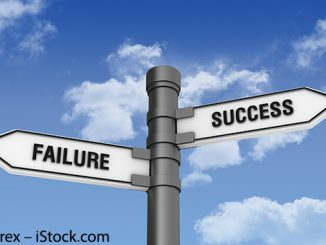 As it is a tradition at MBS Alumni Reunion events, the guests were offered a course on a trending topic in the ballroom of the venue. 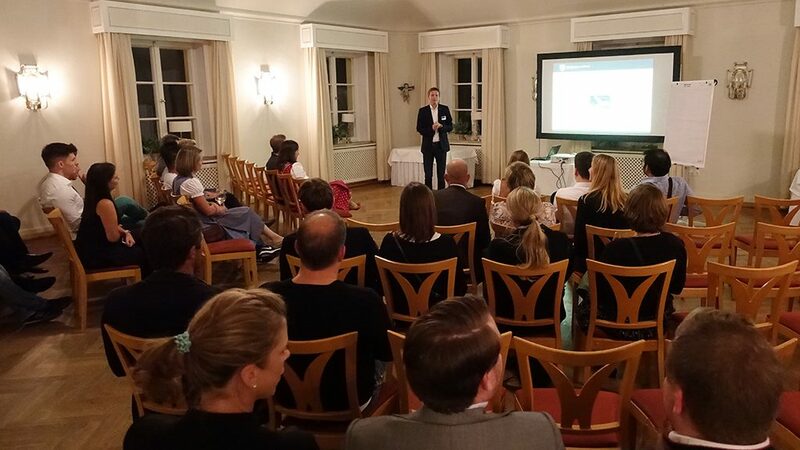 This year, MBS Professor Dr. Christian Schmidkonz invited the alumni to his workshop on Happiness, a topic he has been teaching at MBS with great success: The Happiness course has been the most popular elective amongst Master students for years. 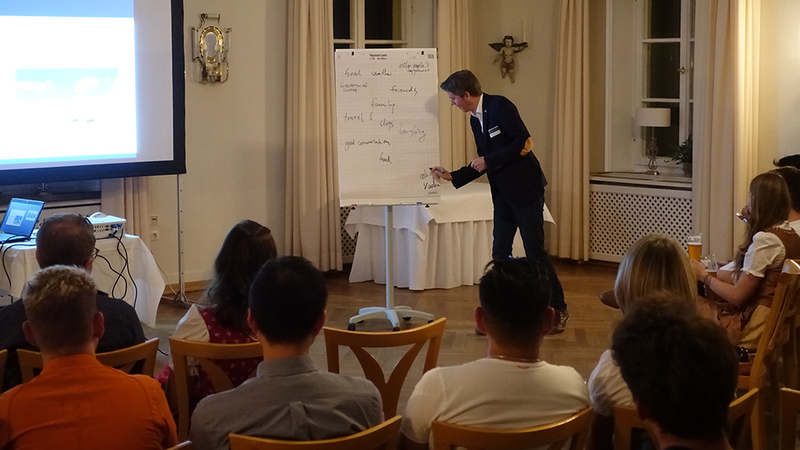 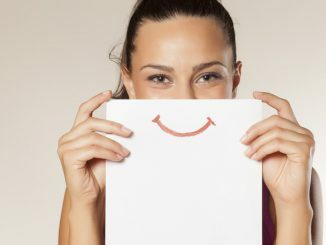 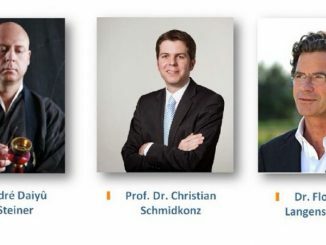 Prof. Dr. Schmidkonz presented the concept of Happiness to the participants, bringing up various aspects such as hedonistic vs. eudemonic happiness, empathy and compassion. 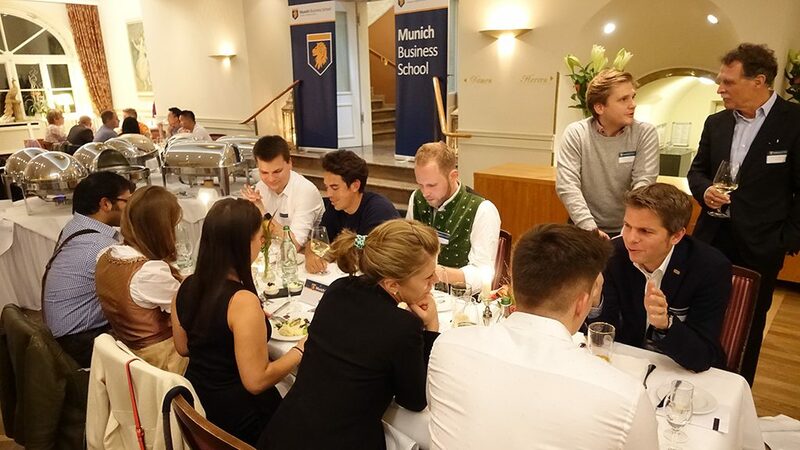 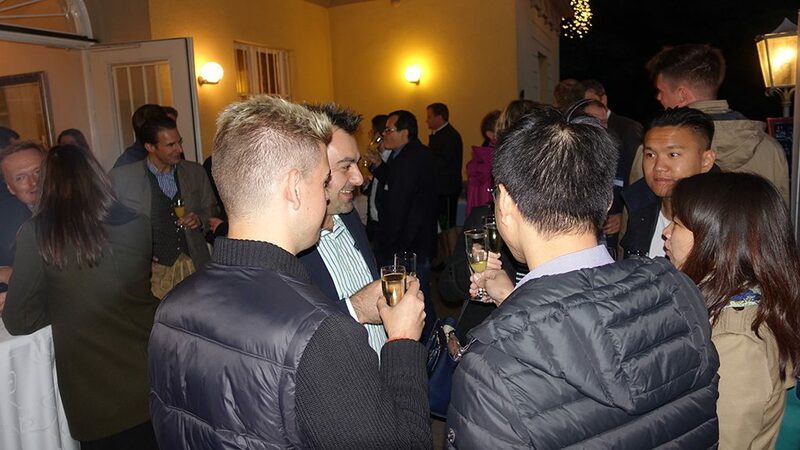 The entertaining workshop sparked high interest and a lively discussion amongst the alumni. 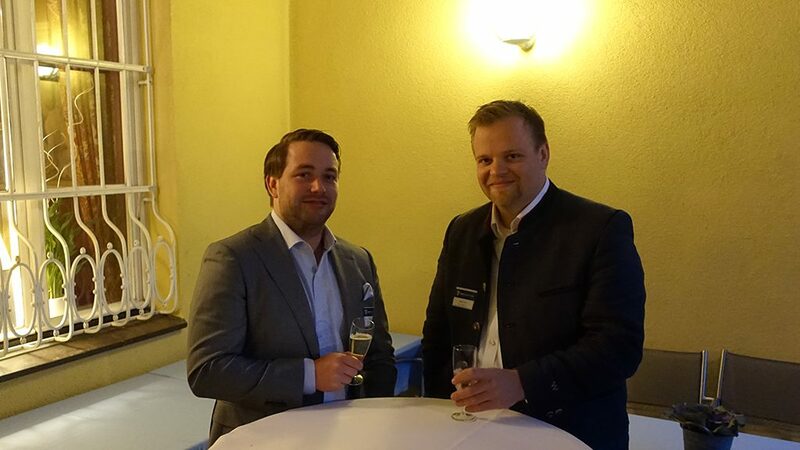 MBS would like to thank “beerpreneur” Christian Klemenz, Bachelor International Business alumnus and founder of the beer brand St ERHARD and the Bierothek beer specialty stores, as well as Avalon Premium Cars for having generously supported the 2017 Alumni Reunion.